My situation was quite complicated. Richard Kraemer was very professional about the entire process. He had knowledge and connections we needed to finalize my Divorce. 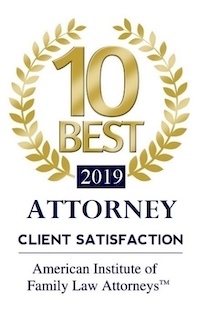 Mr. Kraemer’s calm demeanor, knowledge, experience, and skill helped me stay calm as I went through a year-long divorce, which included going to trial, expert witnesses, testimony, etc. Mr. Kraemer kept me informed of each divorce stage/step and was extremely responsive when I emailed or called him. During the trial, Mr. Kraemer was respectful but firm and was a strong leader. I was proud to have him as my lawyer. Although there are no real winners in a divorce, my case went as well as I could have expected and Mr. Kraemer did a great job. I hope I don’t ever need a lawyer again, but I would hire him again in a heartbeat. Michael was knowledgeable on issues encountered in my case and offered sound input and advice. With his input throughout the case and representation in court I feel the outcome for myself and kids was excellent. My son was going through a painful divorce initiated by the woman. The couple has one young child. We researched and interviewed several lawyers. Michael O’Brien gave us the most confidence. He followed through on every issue. Michael understands the priorities in a divorce case and is not distracted by the “ranting” that came from the opposing attorney. By sticking to what is important, he was able to present my son’s case in the best interests of the child. The result was a fair decision for both my son and his ex spouse. I would highly recommend Michael. Mr. O’Brien was to the point on all subjects, kept me well informed and did not mince words. His expectations were realistic and I was at no point made to feel I should expect more than what was discussed. I have been working with Michael almost continuously for the past 3 years on a series of extremely frustrating child custody, child support, and decision making cases. He has a lot of experience and always explains the reality of the situation we’re looking at, never sugar coating anything. He seems well respected by the other lawyers in Fort Collins, and has at times urged me to negotiate, and at others to finish the case in court. During the time I’ve had Michael representing me, I feel like all of the outcomes have been close to the best that I could have hoped for. With my *PREVIOUS ATTORNEY*, I often felt like I wasn’t getting the attention I was paying for, and actually ended up getting completely blindsided in court because of a lack of preparation. With Michael, I’ve *NEVER* felt unprepared or ignored. I highly recommend Michael for any family law issues. Mike was there to help me when I needed legal assistance. The court system can be very intimidating, and it is absolutely necessary to have an attorney present for the very best possible outcome. Michael handled my divorce very well. Mine was a difficult case with a lot of contention from my ex over child custody and property division. He knew what was likely to happen and made sure I had realistic expectations as well. He was responsive. He had my best interests in mind and coached me accordingly. I was happy with the settlement decreed by the court. I was satisfied with the job that Mr. O’Brien did for me. I ended up settling out of court, so never actually saw him in front of the court, but he was very responsive to me in a difficult case. He always responded in a reasonable amount of time and was very up front with me when he felt that I was being unreasonable about something. I would recommend him.